Hi everyone. I guess you could say I purposely neglected the blog for most of the summer. Sales were terrible, so I didn't feel like putting any extra effort on writing. I'm also seeing MUCH better response for maybe 1/25 the work just posting pictures on instagram. So, there are some deadlines coming up in November that have to do with the technology and hosting methods for our website. Plainly put - I'm not sure it won't completely break this blog installation. I would like to keep it around, but we'll see. 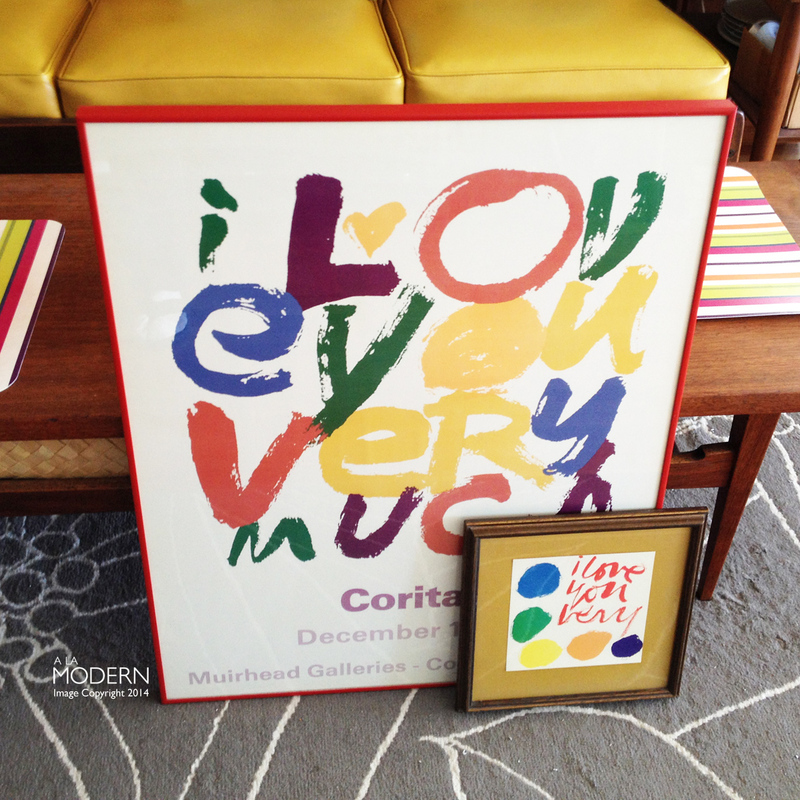 As for the finds - we've had a ton, but I'll just leave you with these Corita prints for now. First time we've ever found any. I think the large one will end up in the booth, which is in itself a story for next time.